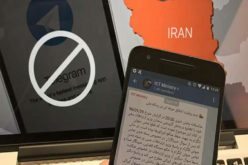 Radiofarda – Despite the Islamic Republic’s official ban on the popular messaging app Telegram, few Iranian users have closed their accounts, and some say fake profiles are appearing for them on regime-linked apps created to replace Telegram. CHRI – After banning the widely used Telegram messaging app, the Iranian government is once again deepening its censorship and suppression of internet use in the country by forcing government agencies to use domestic, state-approved online search engines. Radiofarda – Iran’s Information and Communication Technology Minister announced that based on an order issued by the Supreme Council of Cyberspace, his ministry has started blocking anti-filtering programs or internet filtering circumvention tools, as they are known. CHRI – Six Iranian lawyers have presented a legal challenge to a recent judicial order blocking access in Iran to the widely used Telegram messaging and social media app, Telegram. Radiofarda – Billions of dollars in business deals between Iran and European companies inked after the 2015 nuclear agreement lifted sanctions on the Islamic Republic are now in jeopardy after U.S. President Donald Trump announced the U.S. withdrawal from the nuclear agreement May 8.